Arriving to Glasgow was like arriving to a dreamland where anything was possible. Being able to order soy milk with my rooibos tea, or have a dairy free meal that is not plain chicken with veggies, or buy more than one variety of non-dairy yogurt was a mind-blowing concept. For once, there was hope of enjoying my order in a restaurant or a café. Maybe even more importantly, it meant that I could, at last, try and make some of those Free From dishes you can find on Pinterest. Honestly, I understand that these two points might seem insignificant to most, but to someone whose health issues heavily restrict their diet, they can mean the world. So yesterday, as I walked into my local Sainsbury’s and saw that they were selling both coconut and almond yogurt for 25p until the reduced stock ran out due to clearance, my heart dropped to my toes. Was this beginning of the end? When someone excitedly mentions the Free From range or orders tea with non-dairy milk, many people sigh unkindly. Undeniably, we have impacted the availability of the gluten and dairy free foods with clean-eating, wholesome-eating, and whatever else-eating currently taking over the Insta-Tumblr universe. Our desire to post ‘food pics’ on social media and check in whenever we go out for brunch makes the already competitive food industry even more keen to follow the ever-emerging new trends. Personally, I am grateful for Free From trends as they have given me more options than I have ever expected. The dependence of the availability of these food, however, scares me. It is hard to doubt that the moment another craze takes over, the Free From range will be forgotten, and we will be to square one. Social media may have raised awareness of the existence of ‘special’ food, and by spreading advice about what to eat, also increased its consumption. 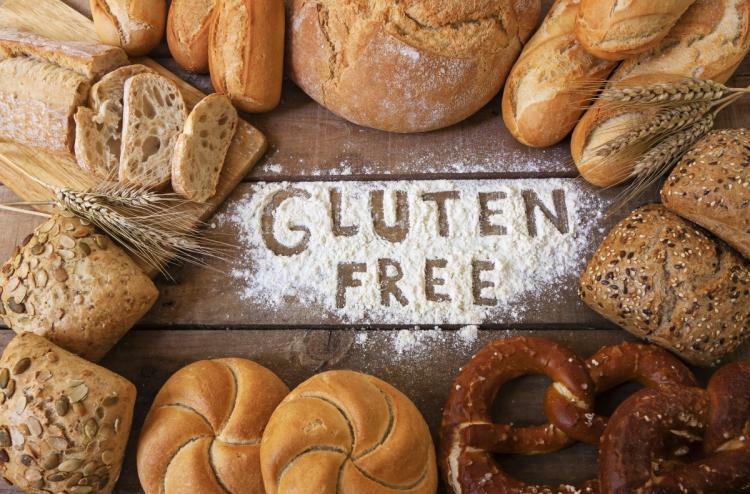 It did not cast much light onto the dietary needs of people with serious health problems, such allergies or Coeliac disease – just to name a few. This is very unfortunate: unlike other dieters, we don’t have a choice and our food choices are unlikely to change once the current trends pass. Only shining a light on disease-related dietary needs could lead to permanent availability of the Free From products and meals. By this, I don’t mean leaving others in the dark. Giving every cause equal time in the spotlight could still stress the importance that dairy-free, or grain-free or sugar-free diets have for us. And hopefully keep a variety of products on the shelves. The discouraging Sainsbury’s episode really made me fear that we will again have to start fighting for availability, rather than moving forward and requesting affordability. However, data says this is not true. The number of people following a vegan diet is on the increase. Hopefully, we can keep on lowering the prices of Free From products so that everyone has a chance to eat an appropriate diet, regardless of by choice or necessity. Whether we are talking about paying 40p more for a soya latte, or about ridiculous prices that can be found on Tesco’s shelves, there is always a massive difference in what we pay for a comparable product. The high prices for Free From products can lead to people who truly need them being unable to afford them. It is one of the instances where the trendiness of these diets comes as a burden, and Free From is seen as a good way to make money rather than as a necessity. But on the other hand, if the trend dies, would the decrease in popularity result in the products becoming cheaper as they stop being a big source of income, or would the lack of demand make them even more exclusive? For the time being, I will continue to enjoy Glasgow’s truly rich food scene. Yet the fear that comes from being dependent on others’ choices constantly lingers in the background. By that I don’t mean that we will die of hunger if the trends stop and availability decreases. I know we won’t. But having food choices positively impacts on our social life. Going out to eat has finally became a pleasure rather than a chore; we can have our friends over for dinner more than three times because there are finally many different recipes that we can make. And sometimes we get to reward ourselves with a Free From cake without having to first spend three hours baking.